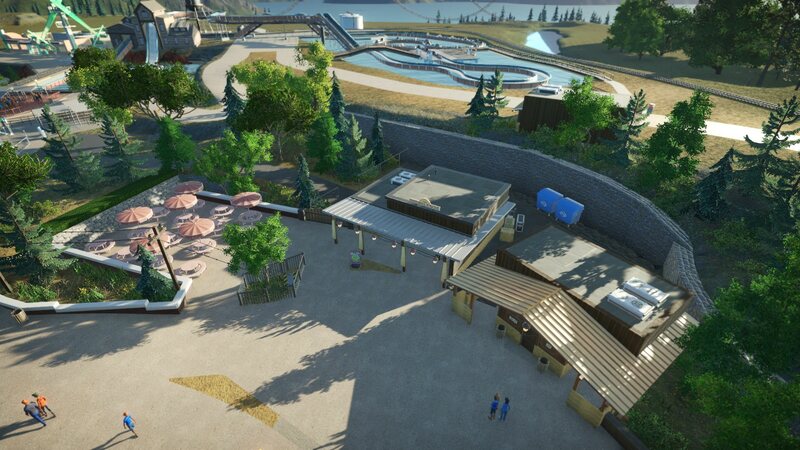 I posted this coaster (https://www.shyguysworld.com/index.php/topic,20882.0.html) a week ago here and decided to make a park out of it. 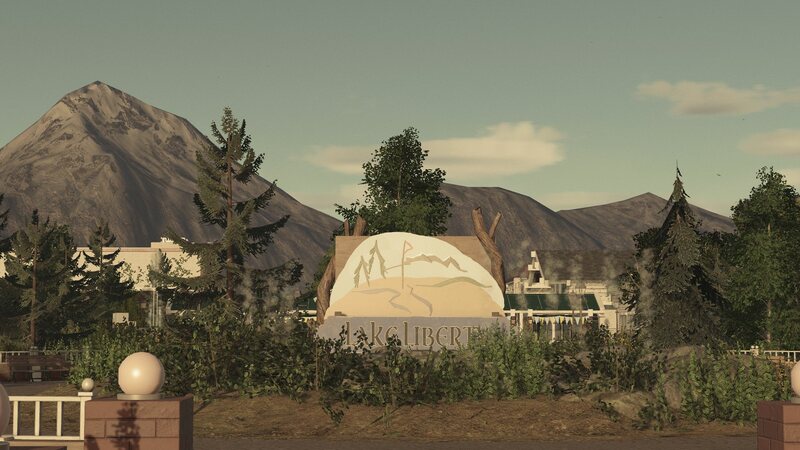 In the history of Lake Liberty this will be a future addidtion, so no news about Element 102 in this post. 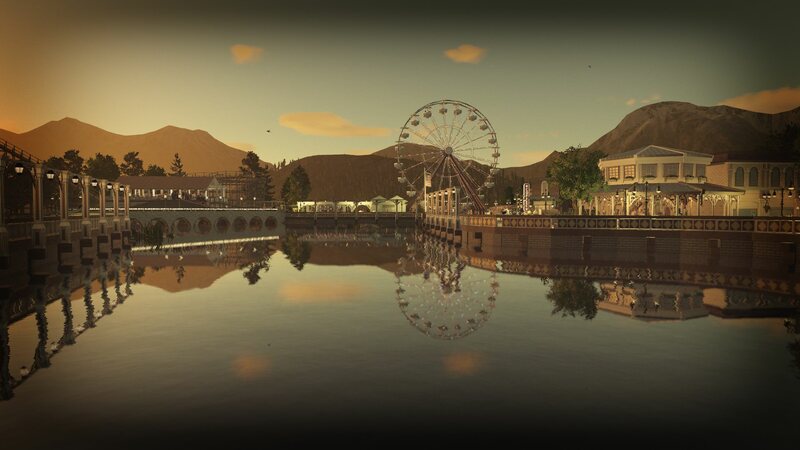 I am starting the journey of the park in the 1960's. Lake Liberty once was a small amusement area at Liberty Lake. It comes with a theatre, a classic carousel and a giant wheel. They tried to expand into a true amusement park over the years, starting with the Liberty Pier. 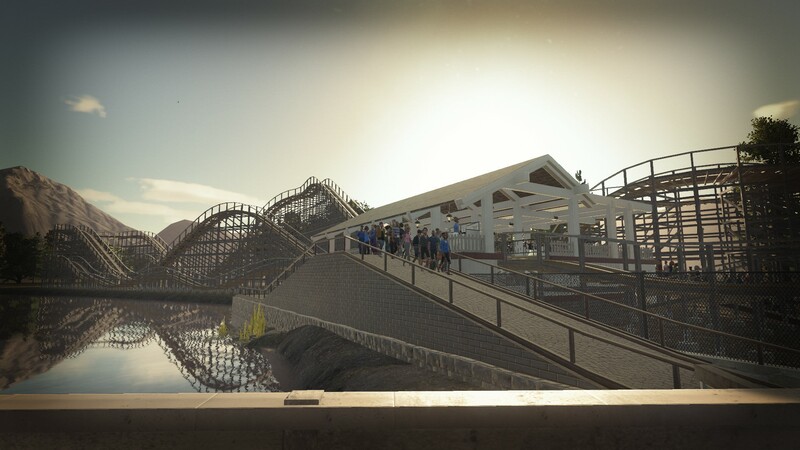 There is plenty of room to expand and with the booming rollercoaster business they may try their hands on it and built a coaster for Liberty Pier. Excellent start! 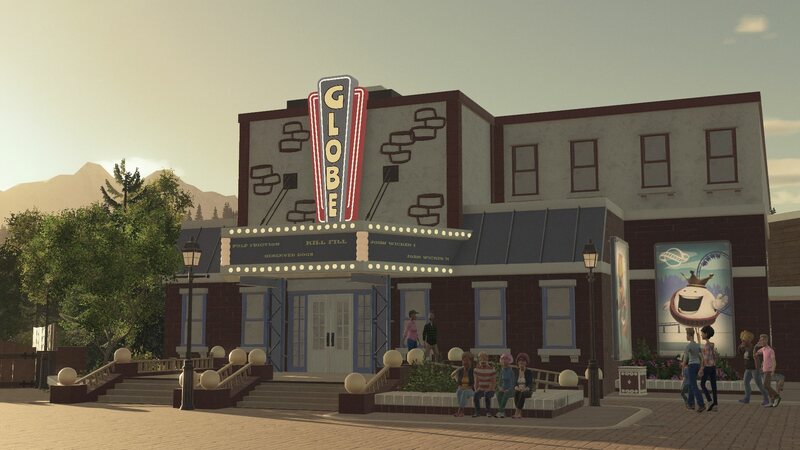 I love the architecture and the realism features, but that main entrance sign with the stylized landscape is truly a work of art. I totally agree, straight up style with that enterance sign and it's surroundings! I don't think there are people out there doing "way" better things...that would be underselling yourself. 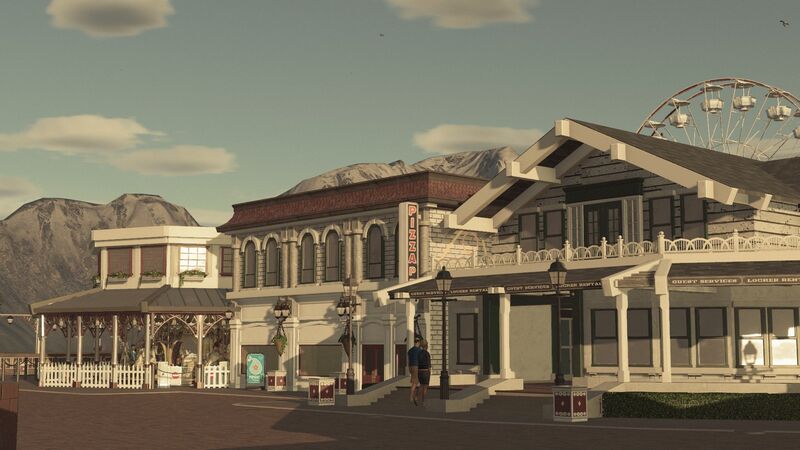 Great start and lovely, cohesive building style! Yeah, "better" is a relative term -- this is charming, the style's evocative, ya done good! That looks all great and so real! The architecture is really good. Also path work is done fantastic. This parks seems to become a fantastic beauty! great start! 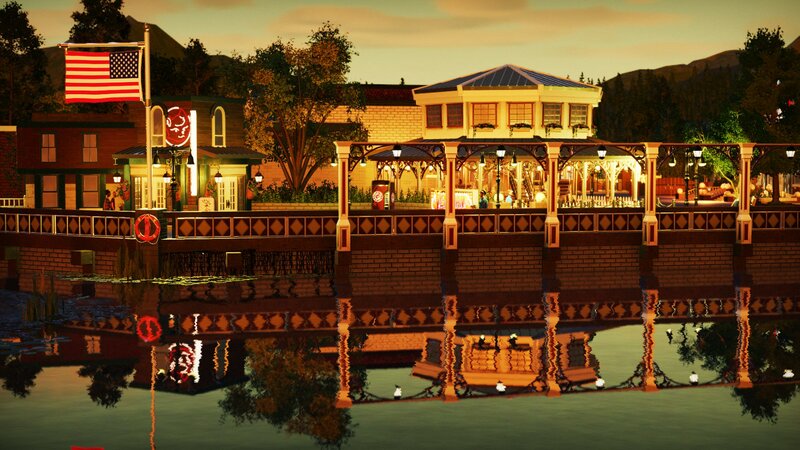 the nightly picture of the carousel is my favorite so far. Thx to all of you! 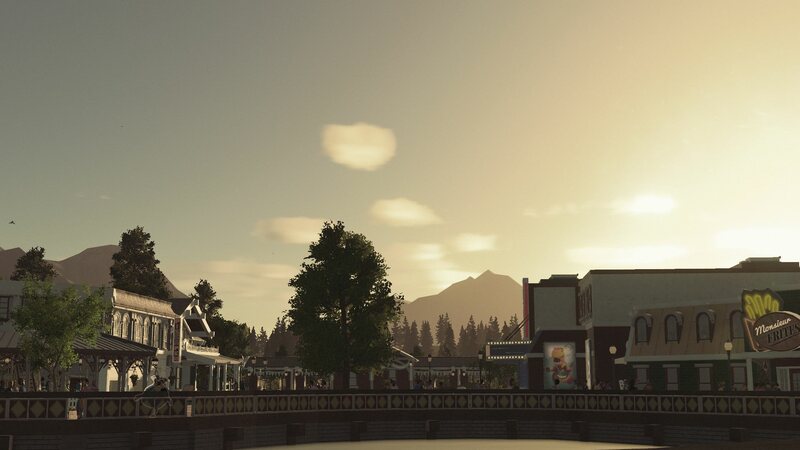 The coaster on the pier is already done, next update will come when the Liberty Pier is finished. A quick update on the Liberty Pier. 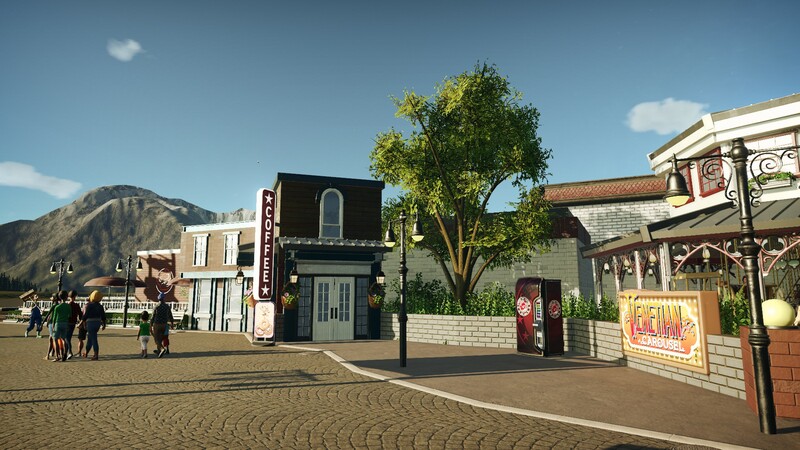 The area of the park is now almost finished which means that the 60's/70's are mostly covered in the park. There will be more shots of the Liberty Eagle, a classic wooden rollercoaster, once the surrounding area looks better. Love your simple, elegant architecture, mj. Beautiful atmospheric night shots. Phase One is now officially completed. 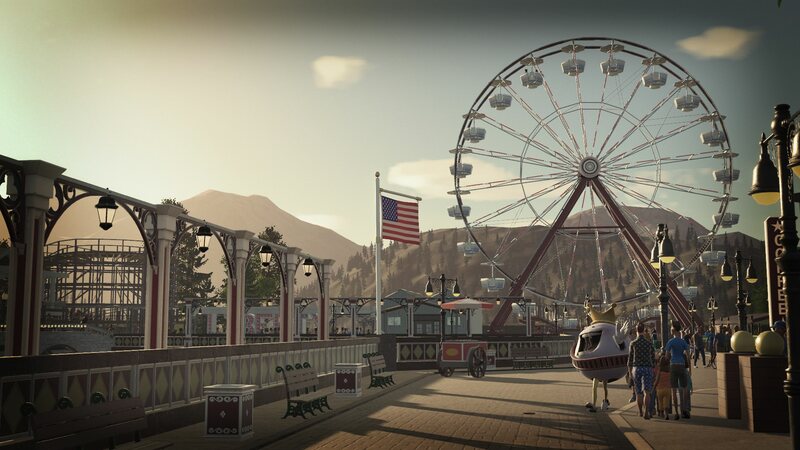 The Park opened Liberty Pier featuring tons of fun! 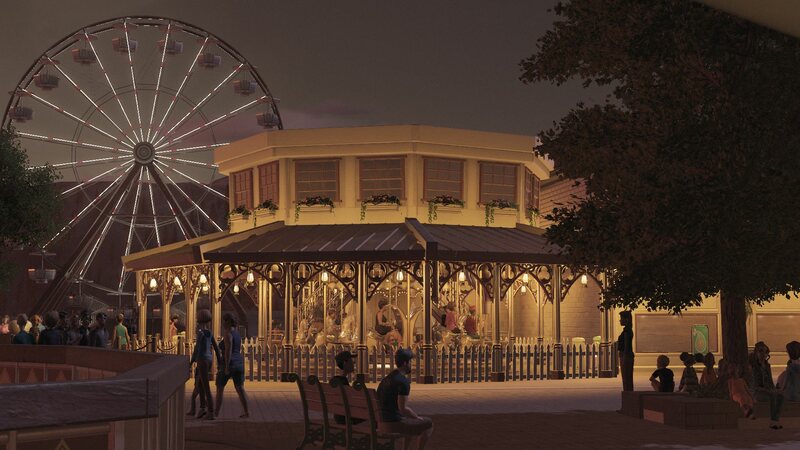 The area features a new Swinging Carousel and a Giant Wheel next to the old Venetian Carousel and the Monte Leone ride. 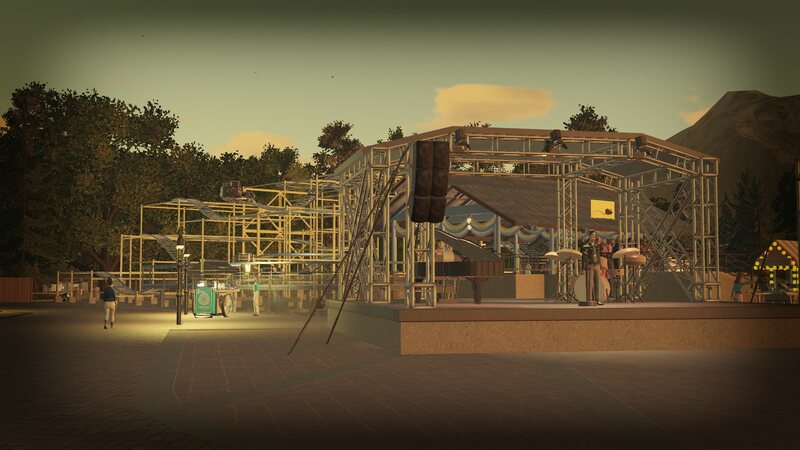 The festival stage is open for concerts and shows every night, make sure to stop by after your ride on the spinning Wild Mouse! The wooden coaster Liberty Eagle is the flagship attraction of the park. 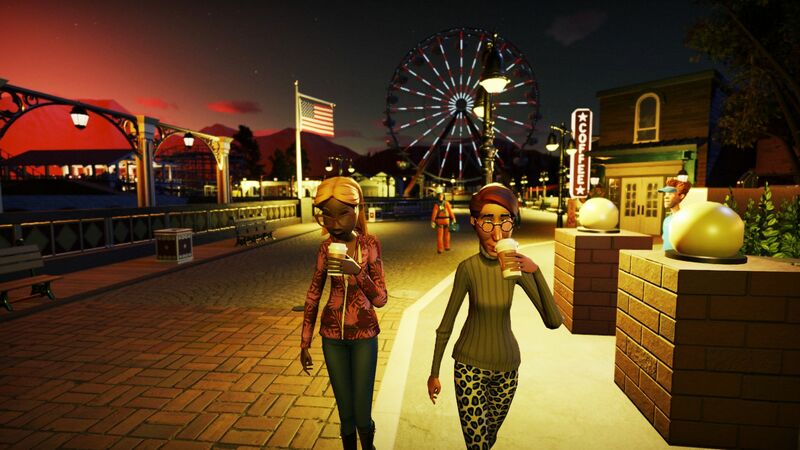 The future of the park looks bright. special thanks to freethebear and spRidley for the food carts and the Jazzband equipment. That looks spectacular! Nice choice of camera filter for it, too. Amongst all the wonderful things here, I was very impressed with the drum set and piano on the stage. Those look fantastic! thank you guys! as i said the jazz band things are from SPRidley. 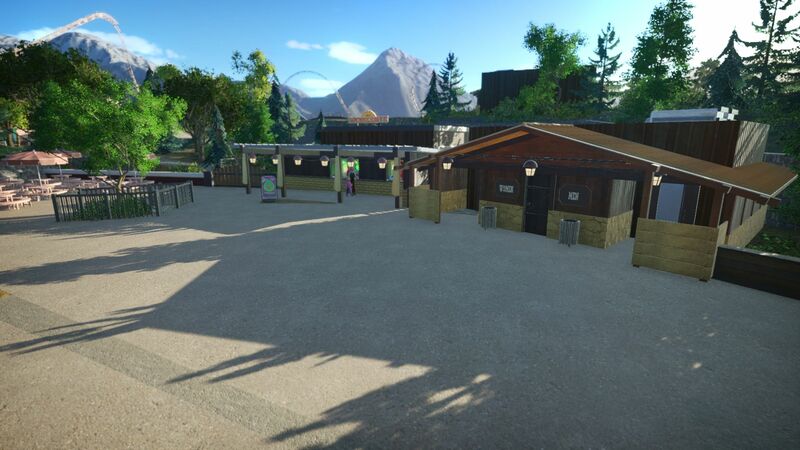 These and the foodcarts from freethebear are the only Workshop items i used yet. The screenshots are just gorgeous. Great use of the in-game filters. The 1970's began and so the "Arrow Era" in the park started. 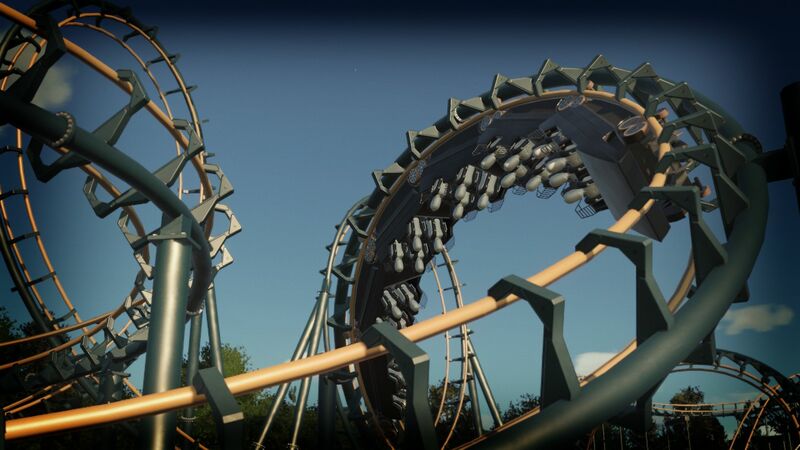 A few Shots of the new Arrow double loop, duoble corkscrew coaster testing. 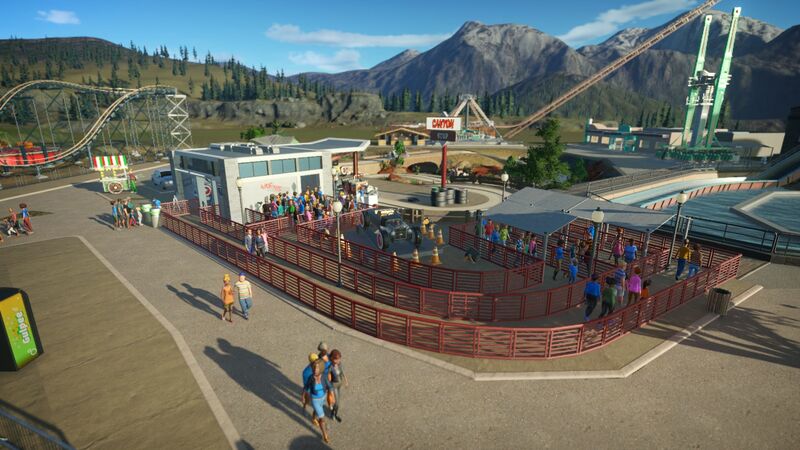 That station and the custom queue rails looks fantastic, but what really catches my eye is the custom supports on the coaster. Some of the early Arrows had nearly as much supports as a wooden coaster, I guess because the designers hadn't yet realized that the steel tube track could itself now be the main structural element. The huge amount of supports on such things has deterred me from doing custom supports for them. You've found one with a nice, manageable medium amount of supports, though, and they look great . Haha thanks! Yeah i am big time Into coasters and even custom supported a gci woodie once, so i really dont mind doing steel coasters. But yes Partcount is always an issue! Very beautiful pictures! And Bullethead is right, the custom supports look superb! I'm just loving this entire thread; photorealism at it's finest. It would seem there's not one thing that you're not good at. There's a shot above showing both the stage and a bridge in the background -- that one shot would be all I need to know of your skillset. Keep it up, this is way too good to fade! This is looking awesome man! 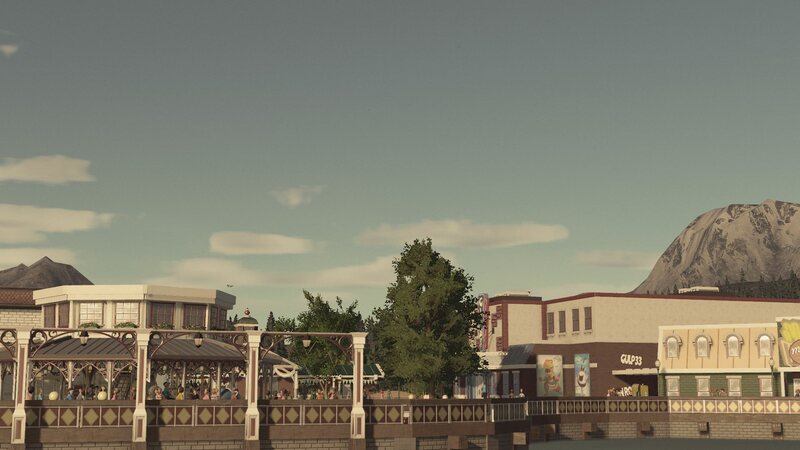 I really love your architectural style throughout the photos you have shown so far. 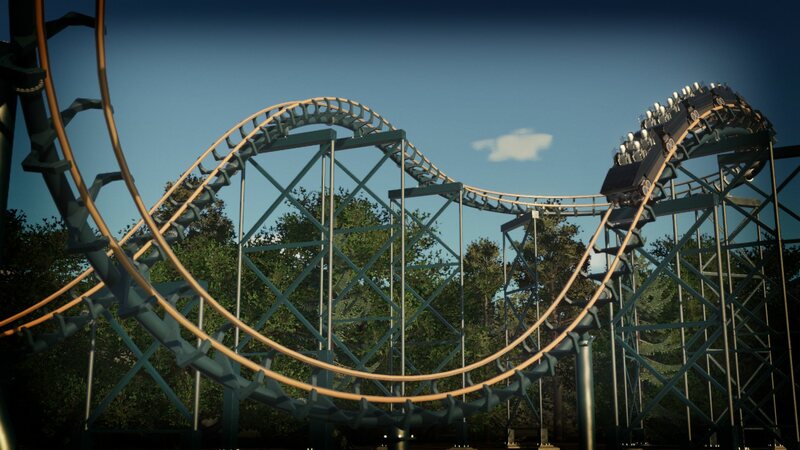 I'm a huge fan of all things old school and Arrow, so I really love those last few shots of that coaster. 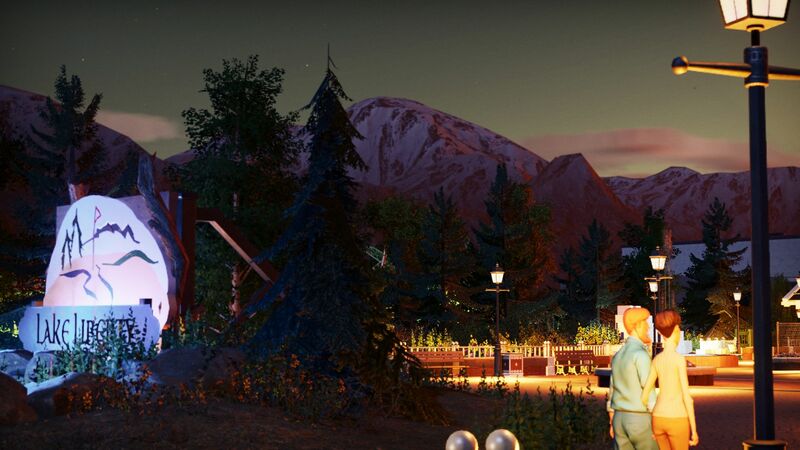 As always big thanks to all of you, i enjoy building this park a lot. 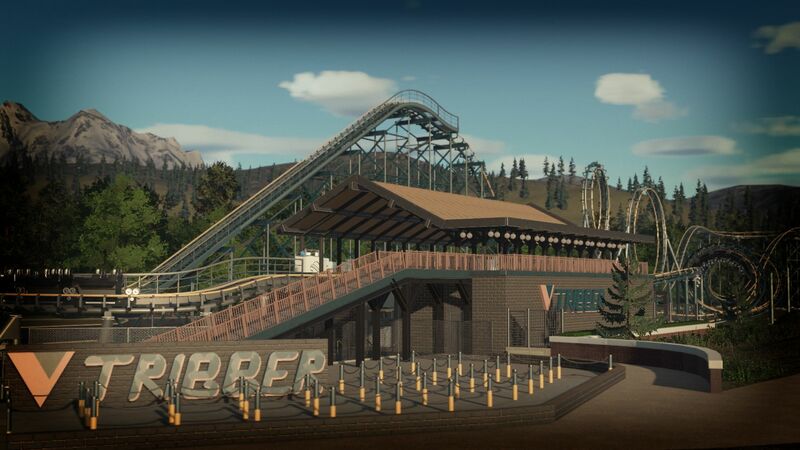 Some WIP pictures of the "Arrow era"
Not much to say as i constantly build on this carride and log flume atm. Just opened phase 1 and I really love the starting area a lot. One of my favorites. 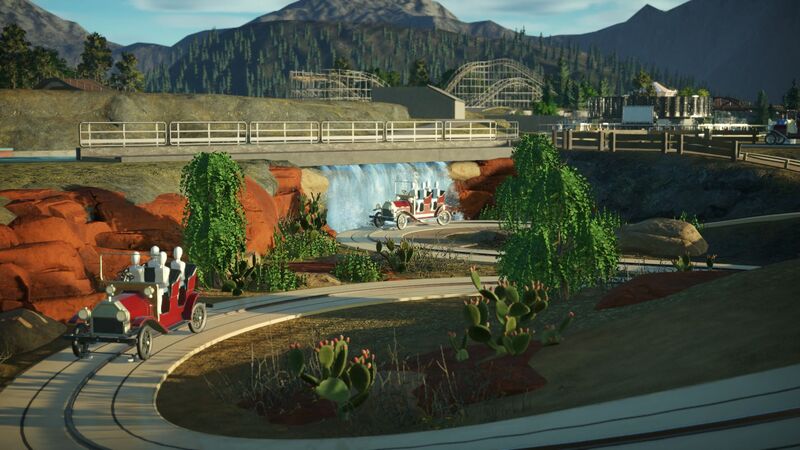 The Log flume and car ride look really good so far. 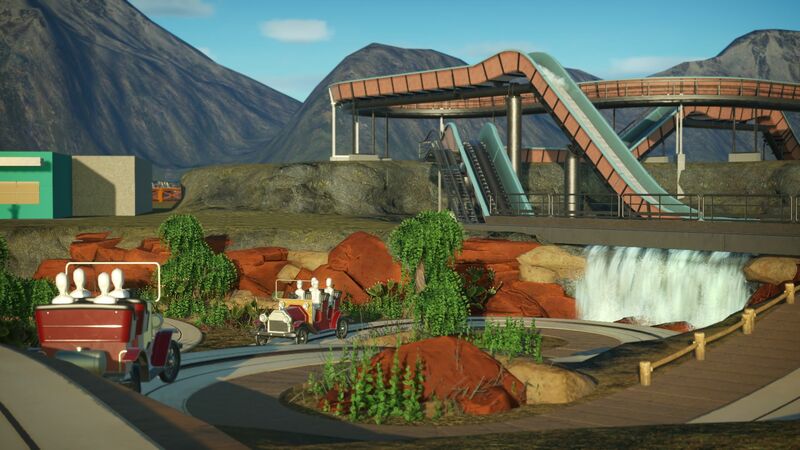 Love the color on the flume! 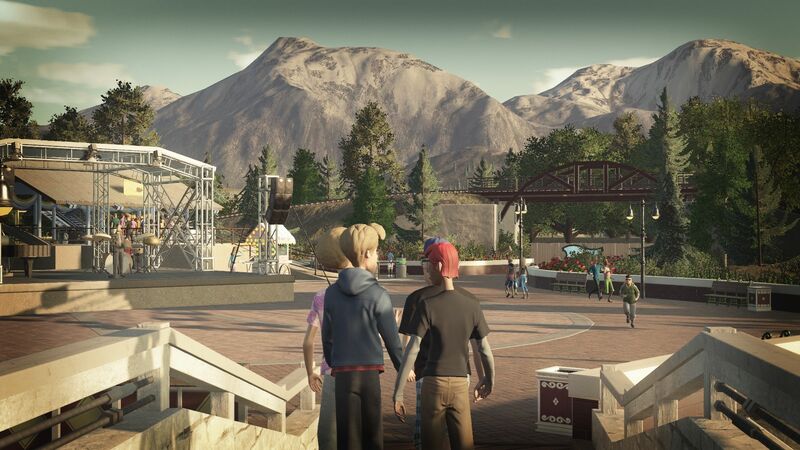 A really nice looking park! The sign in particular is excellent! Hi guys I am back with a small little update. The carride is finished. 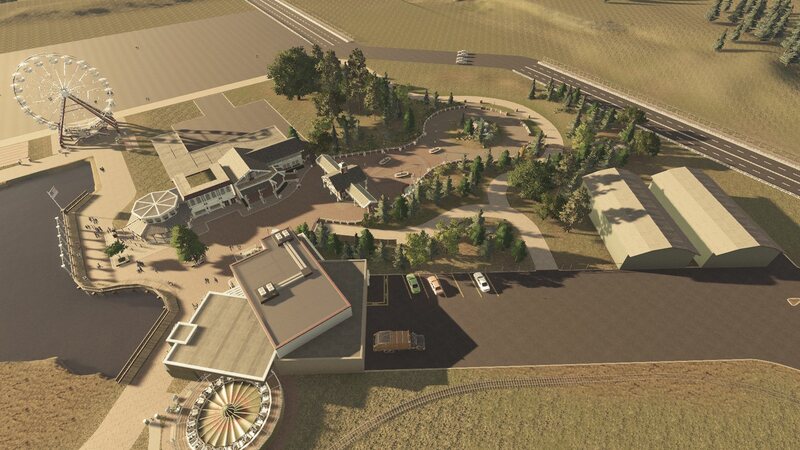 It features a gasstation as entrance building, a small shed for maintenance and custom walkways for exiting the ride safely if it needs to be. 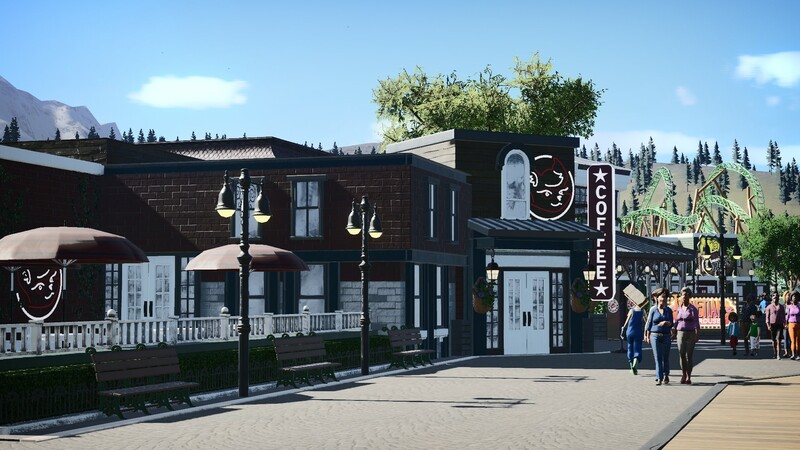 The other mature update i did is to start connecting the area around V-Trigger and the carride with a restaurant and seating area as well as a restroom building. I also built a spinning coaster to replace the old spinning wild mouse, but I'll share that when it's time to. Credits to wings and strings for his Cars and Hot Rod Models and again to freethebear for the awesome foodcarts. Neat! 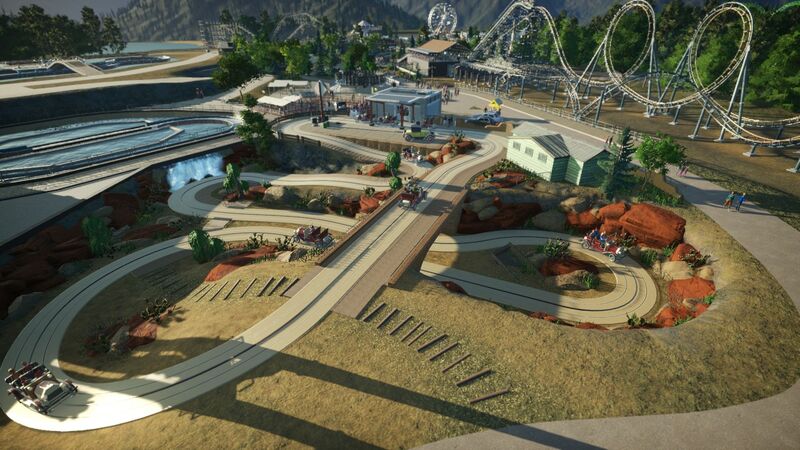 I love the hight differences in the car track, it's making it more adventurous.